Bombardier's flagship Global 7500 aircraft, shown to be the longest-range business jet ever built after accumulating more than 2,700 flight hours since its testing began in November 2016, has been awarded Transport Canada type certification. Bombardier states this achievement paves the way for the aircraft's entry into service this year. Certification by the Federal Aviation Administration (FAA) and the European Aviation Safety Agency (EASA) is expected to follow shortly. Coleal continues to explain, that in meeting certification requirements and now preparing to enter service, the Global 7500 is set to redefine international business jet travel. Michel Ouellette, senior vice president of the Global 7500 and Global 8000 Program described how the Global 7500 aircraft exceeded its original takeoff and landing performance commitments, leading to a new published takeoff distance of 5,800 feet. He attributed the improvements to Bombardier’s latest advancements in airframe and wing design. “[The] improved takeoff performance distance is almost 500 feet shorter than the closest – and smaller – competitor aircraft, and enables the Global 7500 business jet to operate out of airports with shorter runways,” he said. The Global 7500 aircraft holds a range of 7,700 nautical miles, which is also 300 nautical miles further than initial commitments. 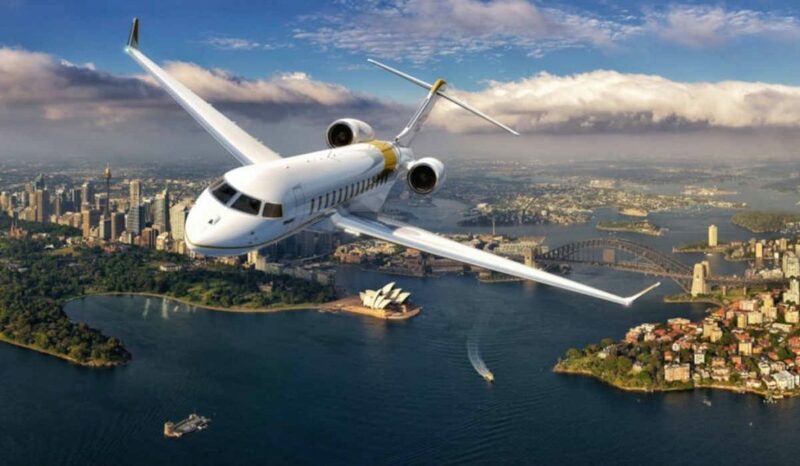 Bombardier explains it is the only business aircraft that can connect New York to Hong Kong, and Singapore to San Francisco, nonstop. With what the company labels as four true living spaces, the Global 7500 aircraft is also described as unique among business jets in spaciousness, luxurious comfort and design flexibility. In addition to its nice Touch cabin management system (CMS), featuring what the company describes as business aviation’s first application of an OLED display, the Global 7500 jet includes Internet connection speeds via Ka-band to stream high-definition content. The Global 7500 aircraft also features the new and patented Nuage seat, exclusive to the Global aircraft family.